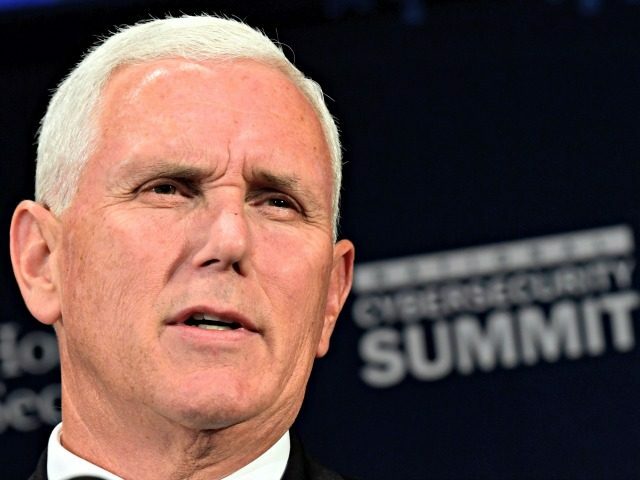 Vice President Mike Pence’s team denied on Thursday they were the author of the anonymous “deep state” op-ed to the New York Times. Some speculated that the use of the word “lodestar” in the op-ed, a common word used by Pence, might mean that he was the author. “Wouldn’t that be something if it was Mike Pence?” hooted comedian Jimmy Kimmel on his show, after playing a highlight clip of the vice president using the word. Pence is traveling to Florida on Thursday to campaign for Gov. Rick Scott’s senate campaign. He is expected to deliver remarks at a lunch fundraiser in the afternoon.